In Argentina, the most comprehensive statutory regulation regarding the protection of personal data is the Data Protection Law No. 25,326 (the DPL), which is regulated by Decree No. 1558/2001 and enforced by the Data Protection Authority (the DPA). The legal framework also includes the complementary regulations issued by the DPA. The DPL applies to personal data of both individuals and legal entities that is stored in public and private files, records, databases and other means of electronic record-keeping aimed at providing reports. The DPL is based on rights acknowledged in section 43 of the Argentine Constitution, which guarantees the right to habeas data. The DPL was inspired by EU Directive 95/46/CE and the Spanish Data Protection Law. The authority responsible for overseeing the DPL is referred to generically as the DPA. The current agency acting as Argentina’s DPA is the Agency of Access to Public Information, which replaced the National Directorate of Personal Data Protection through the adoption of Decree No. 746/2017. The agency is an autarchic entity that operates with functional autonomy under the President’s Chief of Staff Office. Under Law No. 27,275, the agency has the duty of supervising the protection of personal data in order to guarantee the rights of good reputation, privacy and access to one’s personal data. It is also afforded the powers to receive and handle complaints filed by data subjects, request public and private entities to provide information on the processing of personal data, approve international data transfer agreements submitted by interested parties and conduct inspections to check compliance with the DPL. The DPL does not contain any provisions that require the DPA to cooperate with the data protection authorities of other countries or establish mechanisms to resolve different approaches. cancellation of the file, record or database. very severe infringement: suspension of 31 to 365 days or a fine of 80,001 to 100,000 pesos, or both. DPA Rule No. 71 E/2016 capped fines applicable for various infringements encompassed by the same administrative proceeding. In the same administrative proceeding, such fines may not exceed 1,000,000 pesos for moderate infringements, 3,000,000 pesos for severe infringements and 5,000,000 pesos for very severe infringements. illegally insert data in a database. The DPL covers both the public and private sectors in general. In particular, section 43 of the Argentine Constitution and the DPL expressly state that the secret nature of journalistic information should not be impaired. At the same time, the DPL provides certain exceptions when it comes to national security and the public interest. The DPL also does not apply to processing personal data in the framework of opinion polls, surveys, statistical or census works conducted by the authorities, market research or scientific or medical research, to the extent that the data collected cannot be attributed to an identified or identifiable individual or legal entity. The DPL further does not apply to the processing of personal data by an individual in the course of household activity. The DPL does not contain provisions regarding the interception of electronic communications. However, section 153 of the Argentine Criminal Code contains provisions on interception. It provides for periods of imprisonment from 15 days to six months for those found guilty of intercepting communications. Passing on or publication of the contents of the intercepted electronic communication is punishable by additional sentences ranging from one month to one year of imprisonment. In connection with marketing communications, section 27 of the DPL provides that personal data may be used to determine consumer profiles for marketing purposes, provided that such data is gathered from sources accessible to the public or the data subject voluntarily provided the information or consented to its use. On the other hand, Decree No. 1158/01 allows for the collection, processing and assignment of personal data for marketing purposes without the consent of the data subject as long as the data subject is identified only by their belonging to groups based on their preferences or behaviour and the personal data is limited to that which the marketer needs to make an offer. Since there is some disagreement as to how the provisions of the DPL and Decree No. 1158/01 relate to one another and whether they are in conflict or not, a conservative approach would be to rely on opt-in consent for marketing communications. 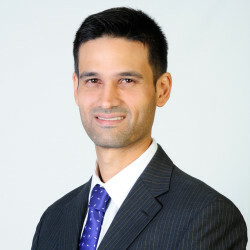 In the case of databases created for the purpose of supplying credit information, the relevant financial information of an individual or legal entity may be stored and disclosed for a period of five years, or two years in the case of information regarding defaults that have been resolved. Argentina lacks specific regulation on data protection in connection with employment issues. However, Labour Contract Law No. 20,744 includes some limits and conditions to employers’ powers of employee organisation and direction that are applicable to data protection. Employers must exercise organisation and direction powers in a functional manner, taking into account their employees’ personal and property rights and treating their information with the highest degree of caution and confidence in order to avoid affecting the employees’ dignity and privacy. Prevailing case law has generally upheld the employer’s right to monitor its employees’ corporate or work emails, as long as they have provided their prior and informed consent. Decisions on the matter (mainly from labour courts) have considered that a corporate email account is a work tool which may be controlled and monitored by the employer, subject to certain conditions (eg, the existence of a policy notified in writing to the employee, informing them that the corporate email is a business tool, that the employee should have no expectation of privacy - even after he or she has created a password - and reserving the right to monitor the information). For example, in 2003 the National Court of Appeals in Labour Matters, Courtroom VII, considered that if a company does not have a clear policy on the use of this tool, it could create a false expectation of privacy. The DPL covers all types of personal data with no limit as to the format in which it is stored. Personal data includes information referring to identified or identifiable natural and legal persons, meaning that dissociated personal information is not covered by the DPL. The DPL does not clearly distinguish whether its application is restricted to local databases or also covers databases located outside Argentina that contain the personal data of Argentine and foreign data subjects. Thus, if personal data is stored in a database located outside of Argentina and managed or owned by a foreign entity, it could be argued that the DPL does not apply and that local authorities have no jurisdiction. However, there have been no regulations or judicial precedents to clarify this matter yet. The DPL has a wide definition of data processing, which covers all processing activities in general, including the collection, preservation, organisation, storage, modification, analysis, blocking, transfer and destruction of personal data. In addition, the DPL distinguishes between data controllers and providers of data processing services. It defines a data controller as the individual or legal entity that owns a database. Although the DPL does not include a definition of data processing service providers, it does contain a provision aimed specifically at regulating them. Section 25 of the DPL refers to the general requirements of data processing services and to the duties of service providers (see question 32). The general principle under the DPL is that any processing of personal data (including any disclosure, collection, storage, amendment and destruction) must be specifically consented to by the data subject. Such consent must be prior, given freely, based upon the information previously provided to the data subject (informed) and expressed in writing or by equivalent means, depending on each case. The data subject may revoke the consent at any time, although this will not have a retro­active effect. is related to transactions made by financial institutions and information received by their own clients. Further, the national government is allowed to process personal data without prior consent where national defence, public security or the prosecution of criminal offences is involved. The DPL provides for a more restrictive set of regulations for sensitive data. Sensitive data refers to any personal data revealing racial or ethnic origin, political affiliation, religious, moral or philosophical convictions, union activity or information related to health or sexual orientation. As a general rule, sensitive data may only be collected where authorised by law and for a public interest purpose. Sensitive data requires the data subject’s consent for any processing, and no data subject is obliged to supply such information. However, sensitive data may be collected for statistical or scientific reasons as long as data subjects cannot be identified. Health institutions and practitioners are also entitled to collect sensitive information on health, as long as it is connected to the physical or mental health of patients. the possibility of the data subject exercising their right to access, rectify or remove personal data stored in the database. Such information shall be provided when the personal data is obtained and must be expressly and clearly provided. Consent is not required in certain limited cases (see question 11). The DPL requires that personal data be stored so that the data subject can exercise the rights of access, rectification, cancellation and opposition. Data subjects may revoke the consent at any time, with no retro­active effects. The DPL requires that collected personal data be accurate and updated if necessary. Personal data that is totally or partially inaccurate or incomplete must be deleted, substituted or completed by the data controller when the data controller knows of such inaccuracy or incompleteness. The DPL does not restrict the amount of information that can be held, although it does impose different regulations and registration requirements based on how much information is held. Personal data may be held for as long as it is necessary or current for the purposes for which it was collected, after which it must be destroyed or deleted. The DPL requires that collected personal data be used only for purposes compatible with those for which the data was collected. Any use beyond that is forbidden. The general principle under the DPL is that any processing of personal data must be specifically consented to by the data subject. Therefore, a data subject must consent in order for personal data to be used for a new purpose. The DPL states that the data controller and the user of a database containing personal data must adopt the necessary technical and organisational measures to guarantee the protection and confidentiality of the data, in order to prevent any adulteration, loss or unauthorised access or processing. Moreover, DPL Rule 11/2006 establishes three levels of mandatory security measures based on the nature of data to be protected: basic, medium and critical. procedures to guarantee proper database management. only perform system tests on real files and data when proper security measures are implemented. adopt encryption when transferring data. The DPL does not impose a general duty to notify either individuals or the DPA of a data breach. However, the Argentine Civil and Commercial Code contains a general obligation to prevent damages, including damages caused by a third party. In particular, section 1710 provides that all individuals must adopt, in good faith and as required by the particular circumstances of the case, reasonable measures to prevent or mitigate damage caused by a third party. In this regard, in some circumstances this obligation could be construed as requiring the notification of a data breach when doing so would help prevent any harm to a third party. Moreover, it is worth mentioning that a recent draft bill presented by the DPA includes mandatory notification in the event of a data breach (see ‘Update and trends’). There is no general duty under the DPL to appoint a data protection officer. However, organisations under the medium and critical security levels must appoint a head of data security. The head of data security is in charge of the security measures to be applied to the database. Data controllers must abide by the DPL’s security levels, which impose various requirements for record-keeping and internal documentation and procedures. There are no regulations on new processing operations, such as requirements to carry out privacy impact assessments or apply a privacy-by-design approach, in the DPL. However, DPA Rule No. 18/2005, which established guidelines of good practices in the process of mobile app development, does recommend developing applications using a privacy-by-design approach that entails considering any privacy and data protection implications since day one, and also ‘privacy by default’. Database registration is required for all data controllers to legally collect, store and process personal data. Registration must be completed before any personal data processing begins. The DPA has also implemented a simplified registration process available to insurance brokers and members of associations with a code of conduct approved by the DPA. terms and conditions under which data subjects may access their information. The form may be submitted online, but a hard copy must still be sent to the DPA. Registration is valid for one year. Requests for renewal must be filed with the DPA at least 45 days before the registration’s expiration. The registration fee varies between 300 and 3,000 pesos, depending on the number of individuals or entities included in the database. There are no fees for registration or renewal requirements for databases of fewer than 5,000 individuals or entities, as long as the database does not include sensitive data. Failure to renew an existing registration is considered a moderate infringement of data protection regulations and may be subject to fines of 1,000 to 25,000 pesos. Failing to register a database is considered a severe infringement of data protection regulations and may be subject to fines of 25,000 to 80,000 pesos or suspension of one to 30 days, or both. Failing to register a database after being requested to do so by the DPA is considered a very severe infringement and may be subject to fines of 80,001 to 100,000 pesos or suspension of 31 to 365 days, or both. When registration applications require amendment to comply with regulations, the DPA will notify the data controller of such amendments, which must be submitted before registration is approved. However, the DPA has not established grounds for outright refusal. Yes, the register is publicly available and can be accessed through the DPA’s website. Being registered allows databases to be in compliance with the DPL, which imposes certain requirements but also shields the database from fines related to non-registration. The DPL does not contain any further public transparency duties. establish that the data processor is also bound by the DPL’s data security requirements. The data may only be used for the purpose outlined in the agreement, and may not be assigned. After the data processing has been rendered, the data must be destroyed, except in the case of express authorisation to the contrary from the data controller, when it can be reasonably assumed that additional services will be required. The data can then be stored for a maximum of two years. Disclosure to other recipients can only be made when the data subject has consented to the disclosure. The DPL prohibits the transnational transfer of personal data from Argentina to other countries or to international organisations if the countries or organisations do not provide an adequate level of data protection. Transfers may be done when the data subject consents to the transfer or when the adequate protections arise from contractual clauses or self-regulated systems. This requirement does not apply to international judicial collaborations, certain cases regarding medical treatments, banking or stock exchange transfers conducted in accordance with applicable laws and regulations, personal data transfers under international treaties or transfer between government intelligence agencies for the purpose of fighting organised crime, terrorism or drug dealing. DPA Rule No. 60-E/2016 (Rule 60) provides a list of jurisdictions which the DPA considers provide an adequate level of protection. These are the member states of the European Union and the European Economic Area, Switzerland, Guernsey and Jersey, the Isle of Man, the Faeroe Islands, Canada (only applicable to the private sector), New Zealand, Andorra and Uruguay. In some non-binding administrative decisions, the DPA has found the United States not to meet an adequate level of protection. Moreover, Rule 60 approved two sets of standard model clauses addressing the two most common types of transfer of data: the assignment of data to a third party and the transfer of data for the rendering of data processing services. The use of these standard model clauses is mandatory for the transfer of data to countries that do not meet an adequate level of protection, provided that the data subject has not provided express consent or that a self-regulatory mechanism with adequate protection is not in place. If the parties choose to use a model different from the ones indicated by the DPA or one that does not include the principles, warranties and content covered by the approved standard model clauses, they are required to submit the agreement for DPA approval within 30 calendar days from the execution date. When a data controller registers a database with the DPA, it must provide a list of the countries to which data is likely to be transferred. No additional notification or authorisation is required. know whether the database is registered in accordance with the DPL’s requirements. to request the correction, deletion, update or confidential processing of their data. Data subjects are entitled to claim damages under general civil law principles contained in the Civil and Commercial Code if they are affected by breaches of the DPL. In order to obtain compensation, the data subject would have to prove effective damages as a result of the breach, and establish a causation relationship with the data controller. Both. The infringement of the DPL can be reported to the DPA, which is entitled to enforce the provisions of the DPL (it can impose fines and sanctions but does not have the authority to award damages or costs). It can also serve as basis for a civil action before the courts. In some cases, infringement of the DPL could constitute a crime to be pursued before the criminal courts. Based on the general principles of Administrative Procedural Law, the DPA’s decisions must be first challenged before the administrative authorities. Thereafter, decisions can be appealed before the courts. See question 6 for information on electronic marketing. Marketing by telephone is covered by the Do Not Call Law No. 26,951. This law created a Do Not Call Registry, which allows for any individual or legal entity owner or authorised user of phone services of any kind to apply for registration to prevent contact from companies advertising, offering, selling, giving or promising goods or services. Cloud computing services are not specifically regulated under Argentine law, but there are regulations that may have effect on the use of cloud services. The DPL applies to cloud services insofar as it entails the processing of personal data. In particular, the DPL’s provisions on cross-border data transfers (see question 34), data processing (see question 32) and data security (see question 20) will be relevant. mandates the obligation to carry out an impact analysis when the data processor intends to treat personal data in such a way that there is a high risk of affecting fundamental data subject rights. 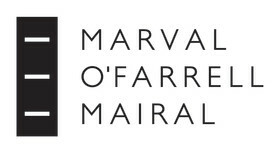 Founded in 1923, Marval, O’Farrell & Mairal is the largest law firm in Argentina. A market leader at both local and Latin American levels, the firm has been providing sophisticated, high quality advice to international and local clients for more than 95 years.